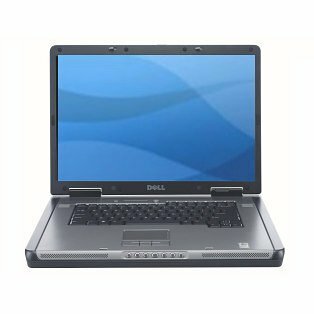 Dell Precision M90 is a mobile workstation laptop computer that features Intel Core Duo processor, 17-inch 1920×1200 widescreen LCD, NVIDIA Quadro FX 2500M Open GL PCI-Express graphics card with 256MB or 512MB of graphics memory and up to 120G 7200RPM SATA hard drive. The high performance notebook workstation also has a 5-in-1 media reader and weighs 3.81 kg. BIOS Magazine (link dead) reviews Dell Precision M90 and concludes that the Precision M90 is pitched squarely at content creators, graphics professionals and anyone who needs sheer brute computing force and high-end graphics. The laptop is certified by no less than 31 independent system vendors, which means the laptop will run the like of 3DS Max and all of Adobe’s software without a problem. It’s not the most attractive laptop we’ve seen, but its components are all first-rate and perfectly roadworthy. In addition, build quality is reassuringly solid and shouldn’t let you down on the road. In short, Dell’s most advanced mobile workstation to date is perfect for content creators. IBN meanwhile concludes that this is a beautifully-designed laptop with performance that tops any that Dell has created. It’s quiet, not too heavy at just over 8 pounds, and its components are all first-rate except for its screen which arrived at our facility with a stuck pixel and was unevenly backlit. The efficiency of its Intel Core Duo processor and power of its graphics processor are both significant enhancements to its roadworthiness for content creators, extending its battery power and its graphics number-crunching power to achieve a balance that gives users plenty of power yet long enough battery life to actually get some serious work done. The M90’s sturdy build quality is an improvement over the already-excellent standard of its stellar predecessors, and its certification program that espouses a variety of content creation applications can instill confidence in its owner. Recommended. 8.9 out of 10 stars.